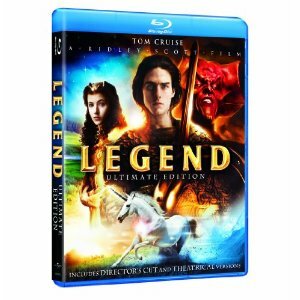 WorldMovieStore - Legend Sinopsis. This strange, 1985 experiment by Ridley Scott (Blade Runner) starred the up-and-coming Tom Cruise in a fairy-tale world of dwarfs and unicorns and demons. Cruise's character, helped along by a magic sprite played by David Bennent (The Tin Drum), descends into hell to save paradise. --Tom Keogh. Read More Sinopsis. 0 Response to "Blu-ray Release Legend"